Some of the most popular home remedies for acne involve the use of natural herbal extracts, many of which traditional medicine practitioners have used for hundreds of years. Below, we discuss the best home remedies for acne, what the research says, and lifestyle changes that can help. Applying tea tree oil to the skin can help reduce swelling and redness. Tea tree oil is a natural antibacterial and anti-inflammatory, which means that it might kill P. acnes, the bacteria that causes acne. Tea tree oil’s anti-inflammatory properties mean that it can also reduce the swelling and redness of pimples. A 2015 review study looked at the existing evidence for tea tree oil and acne. The researchers found that tea tree oil products can reduce the number of acne sores in people with mild to moderate acne. 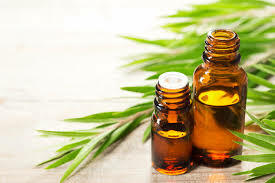 This study suggested that tea tree oil may work as well as 5 percent benzoyl peroxide, which is a common over-the-counter (OTC) acne medication. People can apply tea tree extract to their acne in creams, gels, or essential oils. If people use essential oils, always dilute them in a carrier oil first. A range of tea tree oil products is available online. Jojoba oil is a natural, waxy substance extracted from the seeds of the jojoba shrub. The waxy substances in jojoba oil may help to repair damaged skin, which means it may also help speed up wound healing, including acne lesions. Some of the compounds in jojoba oil might help to reduce skin inflammation, which means it may reduce redness and swelling around pimples, whiteheads, and other inflamed lesions. In a 2012 study, researchers gave 133 people clay face masks that contained jojoba oil. After 6 weeks of using the masks 2 to 3 times per week, people reported a 54 percent improvement in their acne. Try mixing jojoba essential oil with a gel, cream, or clay face mask and applying it to acne. Otherwise, place a few drops of jojoba oil on a cotton pad and rub this gently over acne sores. People can buy jojoba oil at health stores or online. Aloe vera is a natural antibacterial and anti-inflammatory, meaning it may reduce the appearance of acne and prevent acne breakouts. Aloe vera contains lots of water and is an excellent moisturizer, so it is especially suitable for people who get dry skin from other anti-acne products. In a 2014 study, researchers gave people with mild to moderate acne aloe vera gel and tretinoin cream, which is a common OTC acne remedy, to use for 8 weeks. The participants reported a significant improvement in both inflammatory and non-inflammatory acne compared to people who used just tretinoin gel. Try cleaning the acne sores and then applying a thin layer of cream or gel with at least 10 percent aloe vera content. Otherwise, people can moisturize with gels or creams that contain aloe vera. These are available to buy from health stores or online. Honey has been used to treat skin conditions, such as acne, for thousands of years. It contains many antioxidants that can help to clear waste and debris from clogged pores. 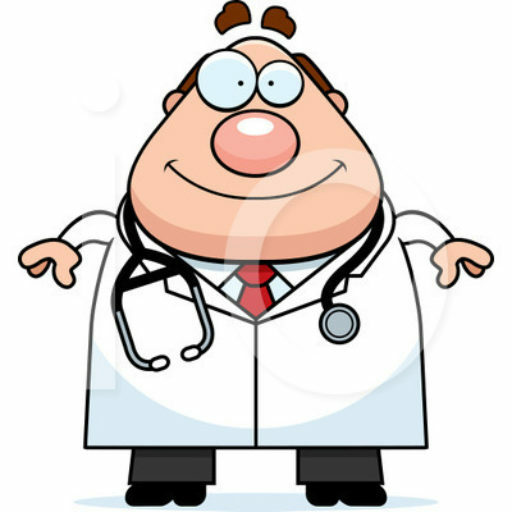 Doctors use honey in wound dressings because of its antibacterial and wound-healing properties. Using a clean finger or cotton pad, rub a little honey into pimples. Otherwise, add honey to a face or body mask. Many traditional medicine practitioners use garlic to treat infections and boost the body’s ability to fight germs and infections. Garlic contains organosulfur compounds, which have natural antibacterial and anti-inflammatory effects. Organosulfur compounds can also help to boost the immune system, which helps the body fight infections. 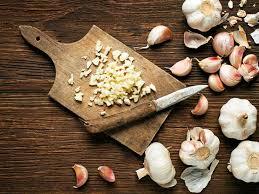 To fight the inflammation and infections caused by acne, people can add more garlic to their diet. Some people chew whole garlic cloves, rub it on toast, or make it into a hot drink. People can also buy garlic powders or capsules from most grocery stores and natural health stores. Although many online sources recommend that people apply garlic directly to pimples, this may cause further skin irritation. Garlic can burn the skin, so always use it carefully. Green tea is high in antioxidants that can help to reduce inflammation in the skin. Green tea contains high concentrations of a group of polyphenol antioxidants called catechins. Most people with acne have too much sebum, or natural body oils, in their pores and not enough antioxidants. Antioxidants help the body break down chemicals and waste products that can damage healthy cells. Green tea may help clear out some of the debris and waste that has built up in open acne sores. Green tea might help either when people drink it or use green tea extract on their skin, though researchers say that the current evidence is limited. However, one study found a 79 and 89 percent reduction in whiteheads and blackheads after 8 weeks of using polyphenol green tea extract. People can find green tea in most high street stores. Green tea extract is harder to find, but it is available from some health stores or online. Echinacea, Echinacea purpurea, also known as the purple coneflower, may contain compounds that help destroy viruses and bacteria, including P. acnes. Many people believe that Echinacea can boost the immune system and reduce inflammation and use it to fight off or prevent infections, including colds and flus. People can apply creams containing Echinacea to areas where they have acne lesions or take Echinacea supplements. Echinacea products are available from health stores or online as creams or supplements. Rosemary extract, or Rosmarinus officinalis, contains chemicals and compounds that have antioxidant, antibacterial, and anti-inflammatory properties. Few studies have looked at the effect of rosemary extract on acne, but a 2013 study on mice models and human cells suggested that rosemary extract can reduce inflammation from the acne-causing bacteria P. acnes. Purified bee venom has been shown to contain antibacterial properties. In a 2013 study, researchers found that purified bee venom can destroy P. acnes bacteria. People who used cosmetics with purified bee venom for 2 weeks had improvements in the number of acne lesions. In a 2016 study, people who applied a gel containing purified bee venom to their face for 6 weeks saw a reduction in mild to moderate acne lesions. Purified bee venom may be a useful future ingredient in acne medication, though more research is needed. Like other natural remedies, coconut oil contains anti-inflammatory and antibacterial compounds. These properties mean that coconut oil may destroy acne-causing bacteria and reduce redness and swelling of pimples. Coconut oil may also speed up healing in open acne sores. Try rubbing pure, virgin coconut oil directly to the area with acne. Look for coconut oil in the natural foods section of grocery stores or online. Along with home remedies, specific lifestyle changes can have a powerful effect on keeping the body healthy, making the skin less oily, and reducing acne flare-ups. People should avoid touching acne sores as doing so can cause further infections. It can be very tempting, but touching acne sores will irritate the skin, may make the pimple worse, and can spread pimples to other areas. Touching, rubbing, squeezing, or popping acne sores can also introduce more bacteria into the lesion, causing further infections. Squeezing a pimple can push bacteria and debris further into the skin, so the pimple may come back worse than it was before. Talk with a doctor about large sores or those that are deep under the skin to find out how to remove them safely. Many regular soaps have an acidity, or pH, that is too high and can irritate the skin, making acne worse. Choose cleansers, rinses, and washes with a pH closer to the skin’s natural pH of around 5.5 to reduce the risk of acne flare-ups and let sores heal. Oil-based or greasy products can block pores, increasing the risk of them becoming clogged and forming acne sores. Look for skin care products and cosmetics labeled as ‘oil-free’ or ‘non-comedogenic,’ which contain ingredients that allow pores to breathe. Staying hydrated is extremely important because it makes it easier for acne sores to heal and reduces the overall risk of outbreaks. When the skin is dry, it can easily become irritated or damaged, resulting in pimples. Being hydrated also ensures new skin cells develop correctly as sores heal. There is no standard daily recommend water intake because each person’s water needs are different, depending on age, how active they are, temperature, and any medical conditions. Many health authorities recommend drinking between six and eight 8-ounce glasses of fluid daily. The American Academy of Dermatology lists stress as a possible cause of acne flare-ups. Stress causes levels of the hormone androgen to increase. Androgen stimulates hair follicles and oil glands in pores, increasing the risk of acne. « Sleep Tape, Breathe better, Sleep better!